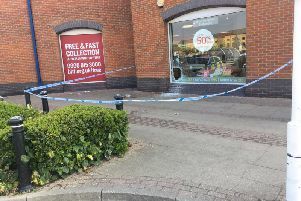 A woman has been charged with two counts of theft following offences in Huntingdon. Samantha Smiley, 42, of no fixed abode, has been charged with two counts of theft. She was due to appear at Cambridge Magistrates Court today, Thursday November 9. The first offence occurred at a store in Chequers Court, on Saturday, November 4, wheN A female entered a staff area and stolenan employee's backpack. The second offence occurred at a business on the High Street on Monday, November 6 and involved the theft of a charity box containing money intended for the Royal British Legion.